Lead internal and external communications strategy and operations to support company growth, at the VC-backed company transforming lives through disruptive innovation in energy and financial services. Fenix International is a venture-backed technology company transforming the lives of its customers through disruptive innovation in energy and financial services. Fenix’s flagship product, ReadyPay Power, is an expandable, lease-to-own solar home system financed through affordable instalments starting from just $0.17 per day. Using real-time transaction data, Fenix creates a next-generation credit score to finance power upgrades or other life-changing loans. To date, Fenix has sold over 300,000 ReadyPay Power systems in Uganda and Zambia, bringing clean, reliable power for lights, phones, radios, TV and much more to over 1 million people. In 2017, Fenix joined forces with ENGIE, one of the world’s largest energy companies and a leader in the move to renewable, decentralised and digital energy. Fenix continues to operate as a distinct and autonomous company within the ENGIE group, maintaining their unrelenting focus on innovation, smart iterative design, strong team culture and exceptional customer experience; while providing life-changing energy and financial services to millions of off-grid customers – making universal access to modern energy a reality across Africa. Fenix are currently seeking an exceptional and experienced Communications leader with a passion for entrepreneurship and renewable energy to join their team. As the new Global Communications Director, you will be responsible for internal and external communications within Fenix. You will play a key role in developing, leading and executing strategic and operational communications materials that support the company’s mission to bring life-changing products and financial services to millions of customers. 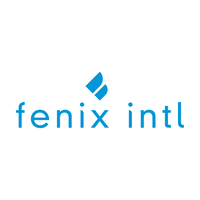 These initiatives will position Fenix as the market leader within the industry, support growth within new and existing markets and maintain the Fenix culture through exceptional internal and external communications. Support the creation and execution of PR plans, including liaison with PR agency and follow up with press opportunities to maximise coverage. Manage field visits for journalists and production companies when capturing stories in all our respective markets. Coordinate with ENGIE on corporate communications initiatives featuring Fenix, such as conferences, events, annual reports, newsletters etc. Manage the entire suite of Fenix media assets, including imagery, raw video footage and other documents. Develop and execute internal communications plans that ensure all employees are engaged and understand global goals, objectives, changes, and developments. Support the Fenix leadership team with writing internal and external communications, to ensure messages are accurate, clear and aligned with Fenix’s business strategy. Build organisational communications capability for local country leadership through implementation of best practices, how-to guides, templates, ‘tone of voice’ input, etc. Play a key role in large-scale internal communications projects such as biannual “All Hands” staff meeting, managing events and other initiatives from design to execution. Be an active advocate for the Fenix culture across all Fenix markets to inspire commitment to our values and ensure we all work as a “Fenix Family”. Collaborate with Fenix country marketing and communication teams to coordinate and provide support for communication campaigns, announcements, global team events etc. Provide best practices to Fenix countries on communications strategy and execution. When necessary, step in to support local Country MD / Leads with communication support, especially in the event of a crisis. Support crisis communications and media issues to protect the Fenix Brand and minimise any possible reputational impact.